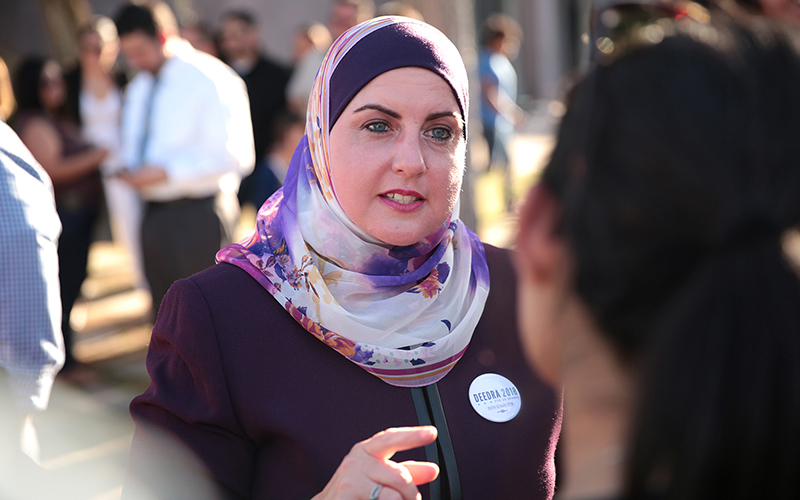 WASHINGTON – All the things that analysts say present a political challenge for Deedra Abboud – her lack of political experience and party ties, her Muslim faith and liberal activism – are the things she embraces in her race for Senate. Abboud, a 45-year-old Phoenix lawyer and community activist, became the first Democrat to throw her hat in the ring for the 2018 race for Republican Sen. Jeff Flake’s seat, announcing her candidacy April 10 – shortly after the longtime independent registered with her new party. 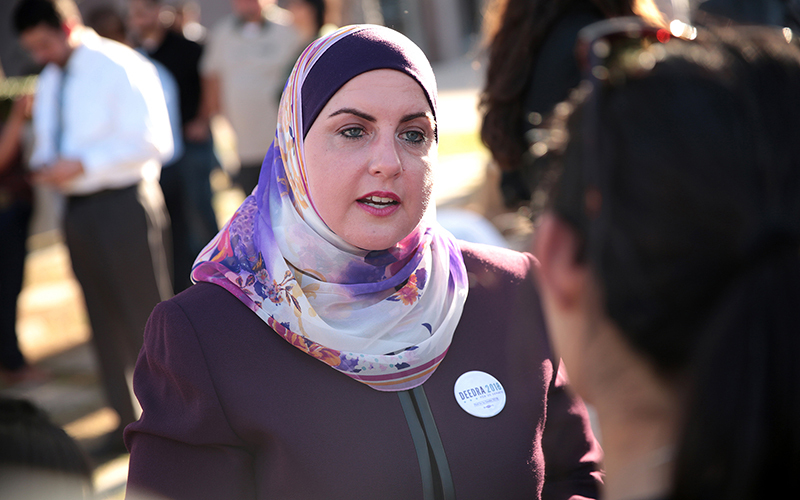 Her independence and her activist bona fides – Abboud ran the Arizona chapter of the Council on American-Islamic Relations in the early 2000s and practiced immigration and estate law – is what will let her transcend party lines and rhetoric and reach undecided voters who feel disenchanted with party politics, she said. But analysts on both sides of the aisle say it will be an uphill battle. Although she was the first Democrat to enter the race, she likely will not be the last: Analysts have pointed to a potential bid by Rep. Kyrsten Sinema, D-Phoenix, a moderate who had $2.8 million cash on hand in her latest Federal Election Commission filing. If she can survive the primary, she will likely face the incumbent Flake – who has proved to be a capable fundraiser in the past – or his GOP primary challenger Kelli Ward, an archconservative who declared her candidacy last year, shortly after losing a bid to unseat Sen. John McCain, R-Arizona. Abboud, who filed her campaign but has yet to file a finance report with the FEC, said she has been in talks with unions and other groups about garnering support, but did not otherwise discuss her finances. 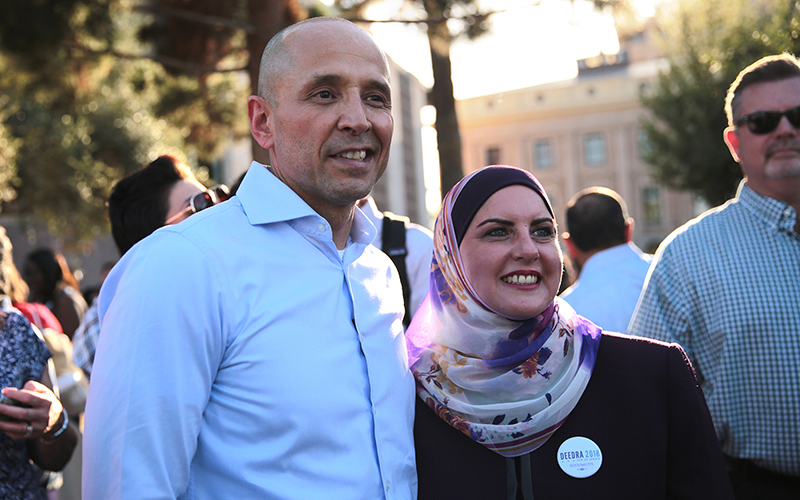 Abboud said she subscribes to the “values of the Democratic Party,” but has voted for Republicans in the past if she felt they would best serve Arizona’s interests. But high talk can only carry a liberal candidate so far in a state that’s elected only Republican senators for more than 20 years. The key to her success may lie in her comparability to another left-leaning independent who thrives on shirking establishment politics, Vermont Sen. Bernie Sanders. But if she were to clinch the nomination, Molera said the platform that carried her in the primary might not play as well in the general election. “In a perfect society, it shouldn’t (be a factor), but unfortunately what we’re seeing is an unprecedented spike in anti-Muslim sentiment, and an overwhelming rise of bigotry against all minorities,” said Ibrahim Hooper, a spokesman for the Council on American-Islamic Relations. But, as with much else in her campaign, Abboud said her religion can promote dialogue about prejudice and Muslims in American life. “I do believe that as people meet me, talk to me, as we come together, they will see that we have so many shared values, and so many shared passions,” she said. Regardless of how far she makes it in the race, Abboud said her candidacy presents an opportunity to remedy the divisiveness of the presidential election and force deeper conversations about American identities. And despite facing long odds, the community organizer remains optimistic.